The aide sought to convince the former attorney general to opt for monetary fine over criminal conviction for SNC-Lavalin. 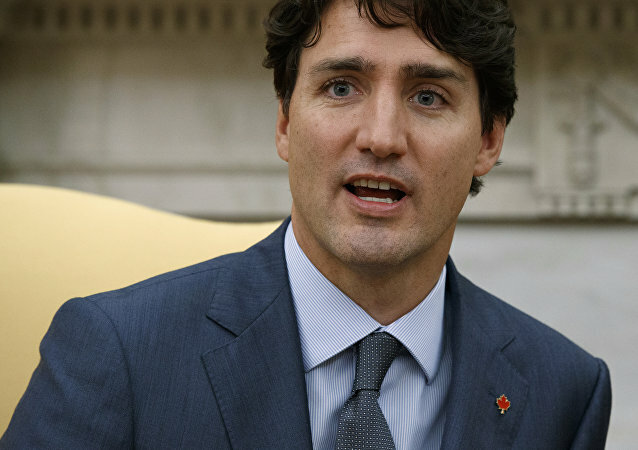 Canadian Prime Minister Justin Trudeau said that nothing illegal happened, but admitted that he made some mistakes in his handling of the political crisis that could ruin his chances of winning re-election in October. Canadian Prime Minister Justin Trudeau reportedly says he is disappointed by the decision of a second member of his Cabinet Jane Philpott, who resigned on Monday. However, he noted that he understands why Philpott has left. Former Canadian Attorney General Jody Wilson-Raybould has testified that Trudeau's office allegedly put pressure on her to help the Montreal engineering giant SNC-Lavalin avoid corruption charges on millions of dollars of bribes to former Libyan leader Muammar Gaddafi's government. The Canadian House of Commons is conducting emergency debates Thursday after the country's ex-Attorney General Jody Wilson-Raybould testified Wednesday that Justin Trudeau's administration had allegedly made a "consistent and sustained effort" to pressure her into helping the Montreal engineering firm SNC-Lavalin avoid trial on corruption charges. Canadian Prime Minister Justin Trudeau's principal secretary Gerald Butts resigned on Monday amid a growing scandal concerning the allegations that PMO tried to interfere with the potential criminal trial of Quebec engineering giant SNC-Lavalin.